SACRAMENTO, CA (CDCAN – LAST UPDATED 06/03/2014 08:00 AM) – The Budget Conference Committee met for the first time late Monday afternoon for about 3 hours, making a first pass covering the two agendas dealing with human services and health budget items and, as expected, holding “open” for further review and action nearly all of those items. No public comments are taken during these hearings. With several conference committee members raising concerns about the impact of cuts of previous budget years, it is clear a major fight on proposed spending increases is brewing largely between Democrats in the Legislature and the Brown Administration as negotiations begin also outside the conference committee between the Governor and Democratic legislative leaders with the State constitutional deadline of June 15th to pass a budget drawing near. The Budget Conference Committee will meet next on Wednesday, June 4th, though not before 11:00 AM, according to Assemblymember Nancy Skinner (Democrat – Berkeley), who chairs the committee to make a first run through of the other remaining five agendas covering K-12 Education; Higher Education; Cap and Trade. Resources and Transportation; Public Safety; State Administration and General Government. Skinner however did not indicate at the end of the hearing the order of which agenda the committee will hear first on Wednesday. The Budget Conference Committee currently has a schedule to meet through June 9th before sending a revised spending plan to the floors of both houses for final votes before the June 15th State Constitutional deadline to pass a budget. While there are significant differences in many proposed restorations and new spending proposed by both the State Senate and Assembly, both houses differ significantly with the spending proposed by the Governor Edmund G. “Jerry” Brown, Jr. The Governor proposed in January with revisions in May a proposed 2014-2015 State spending plan of $107.766 billion with almost no restorations of previously cut programs and services.The State Senate instead made major changes to the Governor’s plan, proposing $109.985 billion in State general fund spending.The Assembly also made major changes to the Governor’s proposed budget, coming up last week with $110.824 billion in State general fund spending. Both houses came to the Budget Conference Committee agreeing last week on several proposed spending increases and restorations covering Early Start eligibility, In-Home Supportive Services (IHSS) including rejection of the Governor’s proposed cap on IHSS worker hours to comply with new federal overtime regulations and restoration in October of the scheduled 7% across-the-board cut in IHSS recipient hours set to go into effect July 1st, funding restorations for Disabled Student Services, but differed significantly in several other key proposed spending restorations. None of those restorations and spending increases, even though both houses agreed, are safe because all spending increases and restorations have been largely opposed by the Brown Administration, citing concerns of on-going State revenues and growth in spending in key budget areas, including Medi-Cal. Those issues – and the issues currently on the Budget Conference Committee agendas – will be the subject of budget negotiations between the Governor and Democratic legislative leaders, with some of the outcomes of those negotiations emerging as the conference committee approves or rejects agenda items in the coming days. These are called “optional benefits” because the federal government does not require the states to provide those benefits as part of their required Medicaid funded services and benefits (called “Medi-Cal” in California). The State Senate last week approved a proposal for the restoration of certain Medi-Cal “optional benefits” for adults that were eliminated in 2009 covering acupuncture, audiology, chiropractic, incontinence cream and washes, optician/optical lab, podiatry, and speech therapy, effective July 1, 2014. Cost to restore these benefits are estimated at $27.7 million ($12.8 million of that in State general funds) for the first year.Last June the 2013-2014 State Budget included restoration of the Medi-Cal dental “optional benefit” for adults, effective May 2014, that was eliminated in 2009. The Assembly took no similar action last week and the Governor made no similar proposal in his budget plan. This item was kept “open” by the conference committee on Monday. The Assembly last week proposed restoration of the cost of living adjustment (COLA) for the State portion of the SSI/SSP (the federal Supplemental Security Income/State Supplemental Payment grants), and the State funded grants in the Cash Assistance Program for Immigrants (CAPI), effective April 1, 2015, that would cost $14.79 million in State general funds. The Senate approved no similar proposal last week, and the Governor made no similar proposal in his budget plan. In previous budget years, the cost of living adjustment for the state portion of the SSI/SSP grants was eliminated. The federal cost of living adjustment to the SSI part of the grant however has been passed through to SSI/SSP recipients for the past two years and will continue to be passed through because the State grant portion was reduced to the lowest amount allowed by the federal government (the State used to reduce the State grant level by the same amount of the federal cost of living in previous years which it cannot do any longer unless the State grant level is increased). This item was held “open” by the Budget Conference Committee on Monday. Both houses last week approved proposed restoration of the 10% rate reduction for most fee-for-service Medi-Cal providers under AB 97, but in different ways. The Senate proposal would restore the 10% cut to all Medi-Cal providers, except pharmacies, on a prospective basis (meaning from the effective date forward) beginning July 1, 2014, and added $12 million in State general funds to be used for additional exemptions to payment reductions if needed. The Assembly last week proposed forgiving all retroactive payment reductions effective July 1, 2014 (with a cost of $32 million in State general funds), and eliminating prospectively the 10% rate reduction for all Medi-Cal “fee-for-service” providers beginning April 1, 2015, for a cost of $69 million in State general funds for the 2014-2015 State Budget year and $274 million in State general funds in following budget years. The Governor’s plan proposed forgiving retroactive payment cuts to certain Medi-Cal providers but would maintain the rate reduction for those providers. This item was held “open” by the conference committee on Monday. Assembly approved last week a proposal approved for $30 million in State general funds to increase grant payments for “non-federally eligible” foster youth who reside with relative caregivers. The Senate approved no similar action and no similar proposal was included in the Governor’s spending plan. The Assembly last week approved the elimination of the rate freeze for Intermediate Care Facilities for the Developmentally Disabled (ICF-DD) effective April 1, 2015, with a cost estimate of $8.2 million in State general funds for those remaining months of the 2014-2015 State Budget year, and $33.1 million in State general funds in full budget years after that. The State Senate took no similar action last week, and no similar proposal was included in the Governor’s proposed budget plan. Last week the State Senate approved a proposal to add ABA (Applied Behavior Analysis) services to Medi-Cal managed care for children ineligible for regional center funded services under California’s Lanterman Developmental Disabilities Services Act, and to convene a stakeholder workgroup to implement the new benefit and develop utilization controls to limit expenditures. The cost is estimated at $100 million ($50 million of that in State general funds). The Assembly approved no similar action last week, and no similar proposal was in the Governor’s budget plan. The Assembly approved last week a proposal to add $2.9 million in State general funds for Caregiver Resource Centers (in the Department of Health Care Services budget). The State Senate approved no similar action, and no similar proposal was in the Governor’s proposed spending plan. Both houses approved last week the restoration of funding on the impact of the increase in the State minimum wage for supported employment program serving people with developmental disabilities that the Governor originally proposed in January but eliminated in his May budget revisions.The cost to restore that funding for the minimum wage impact is $4.5 million ($3.5 million of that in State general funds). In addition, the Assembly proposed last week an additional increase to eliminate the 2008 10% rate reduction to that program, that would cost $8.6 million ($5.9 million of that in State general funds). The Senate did not take any action regarding elimination of the rate reduction, and the Governor’s budget plan made no similar proposal. The budget items related to supported employment were held “open” by the conference committee on Monday. Assembly approved last week several funding increases and restorations, once funded under the Older Californians Act covering Long Term Care Ombudsman (an increase of $3.8 million in State general funds); Brown Bag Program (increase of $600,000 in State general funds); Respite Purchase of Services (increase of $350,000 in State general funds); and Senior Companion Program (increase of $350,000 in State general funds). The State Senate approved no similar proposal and no similar proposal was included in the Governor’s budget plan. Assembly last week approved proposal to adjust rates paid to PACE (Programs for All-Inclusive Care for the Elderly) providers from 90% of the upper payment limit to 95%, effective April 1, 2015.The cost is estimated at $1.8 million in State general funds for the remaining months of the 2014-2015 State Budget year and $7.3 million in State general funds for full budget years after that. The State Senate approved no similar proposal, and no similar proposal was included in the Governor’s plan. Governor proposed in May, an increase of $513 million in State general funds as a result of updated caseload projections and updated cost estimates related to expansion of Medi-Cal for people now eligible under the federal Affordable Care Act mandatory expansion.The expansion also required simplifying of eligibility and enrollment rules and increased program awareness and outreach for people not yet enrolled in Medi-Cal but who were eligible under the previous eligibility rules. The State Senate approved last week a proposal to reduce the Governor’s budget estimate for that expansion by $300 million in State general funds. The Assembly approved last week a proposal also reducing the expansion costs in the Governor’s plan, by $342 million. This issue, while not impacting directly current levels of services in Medi-Cal, is significant because the budget savings resulting in the actions by both houses to reduce the Governor’s projected costs for the expansion of Medi-Cal is needed to pay for several funding restorations for other services and programs. The June 15th deadline for the Legislature to pass a state budget – a deadline in the State Constitution that prior to November 2010 was almost always ignored without penalty by the Legislature – holds major significance now. Voters in November 2010 approved 55-45% Proposition 25 that changed the legislative vote requirement necessary to pass the state budget and budget related bills (often referred to as “budget trailer” bills because they follow or trail the main budget bill) from two-thirds (54 votes in the Assembly and 27 votes in the State Senate) to a simple majority (41 votes in the Assembly and 21 votes in the State Senate). But a key provision in Proposition 25 – now a part of the State Constitution, provides that if the Legislature fails to pass a budget bill by June 15th, all members of the Legislature will permanently forfeit any salary and reimbursement for expenses for every day until the day the Legislature passes a budget bill. There are no penalties for a governor in Proposition 25 to sign a budget by a certain deadline – though major ramifications exist if there is no spending plan enacted after a certain point in time simply because the State would run out of cash and authority to spend money, as happened in previous years. It should be noted that the June 15th State Constitutional deadline is only for the Legislature to send a budget to the Governor – not that the Governor has to sign it by that day also. In addition, if the Governor vetoes that spending plan, forcing the Legislature to send another proposed budget bill after the June 15th deadline – something that happened in 2011 – the penalties don’t apply, though that issue has not been fully tested in court. 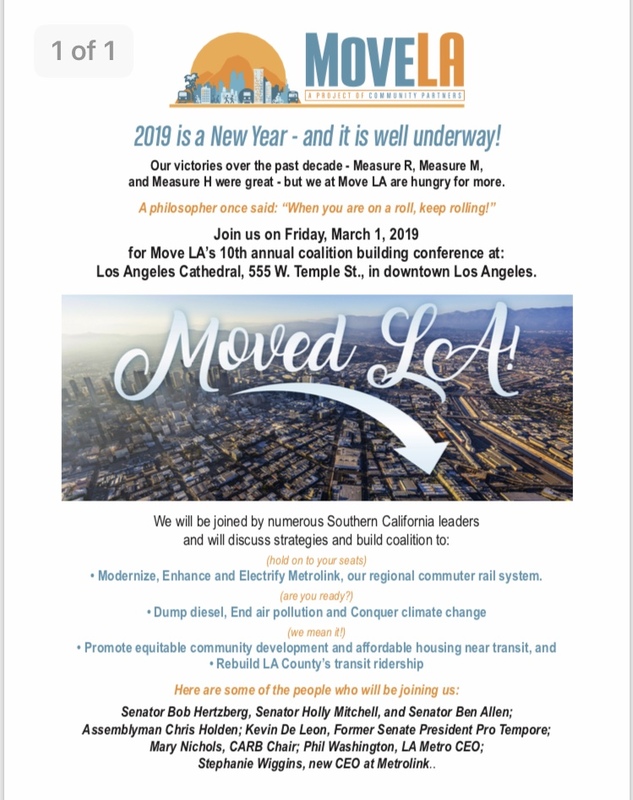 ASSEMBLY DEMOCRATS (3): Assemblymember Richard Bloom (Democrat – Santa Monica, 50th Assembly District), Assemblymember Nancy Skinner (Democrat – Berkeley, 15th Assembly District), and Assemblymember Shirley Weber (Democrat – San Diego, 79th Assembly District).